So, where does historical fiction fit? I know it should really sit quite firmly in the reality camp. It’s well researched, it’s grounded, we know this stuff happened. But the other day I was chatting to a writer friend of mine who reckoned that historical fiction, if it wanted to engage a contemporary audience, had to somehow make itself relevant. Be more dystopian if you will. After all, 12th Century Britain was no bed of roses. It’s as easy to feel like you’re in a completely different world by going either forward or back in time. Both feel equally alien. 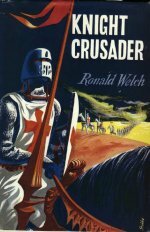 Knight Crusader by Ronald Welch. I’ve definitely talked about this Carnegie Medal winner before, but I’m going to again. Just re-read it, and it’s so good. The story of a seventeen year old who ends up in Outremer fighting Saladin and making his fortune. Totally unrealistic, but also totally compelling. I want to be him, but I can’t be, because this is fantasy. The Damascus in the book is very different to the Damascus we see on the news every day. I also had to talk my daughter through Imperialism when she was saying that Saladin had ‘knicked our land’. So maybe that’s another facet of fantasy – it holds a mirror up to our lives and comments on them in some way. Makes us think a bit. At least it does if it’s any good. 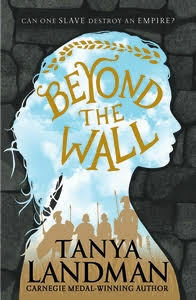 Actually, while we’re on historical fiction – Beyond the Wall by Tanya Landman. She’s another Carnegie winner and it shows. Beyond the wall is her version of Eagle of the Ninth, and it’s really good. For those of you who aren’t Rosemary Sutcliffe fans, that means that it’s about the Romans, Hadrian’s walland the evil picts who hang out in the badlands on the other side. I first came across her when my local bookshop was looking for books featuring young heroines of colour. I read Buffalo Soldier, Hell and High water, the Goldsmiths’ daughter and Apache all in pretty short order. 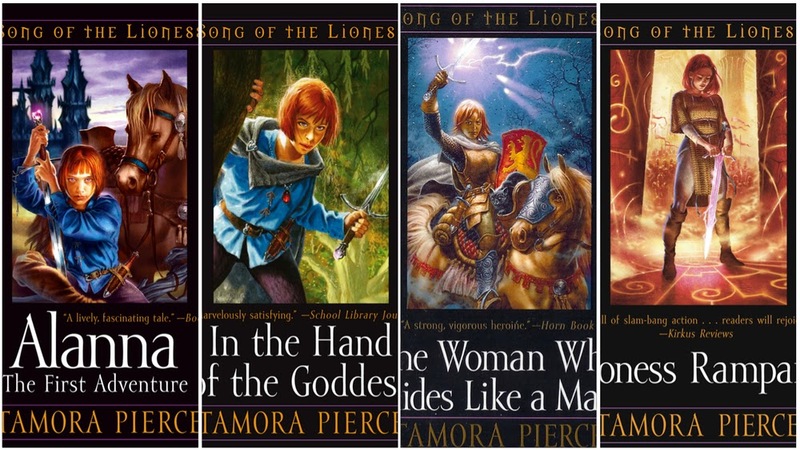 She does historical fiction very well, and manages to make it not dated. That sounds weird, given how long ago it’s set, but even children’s books get dated, and sadly, some of Rosemary Sutcliffe (The Thief Lord aside) is these days a bit of a struggle. Not that I’m averse to books that make you think, quite the reverse. You just need to pick your battles. Children who are reluctant readers need to be gripped immediately and then have density sprung on them when they are already hooked. Anyway, enough ramblings. Add Beyond the Wall to your canon. Plus any of those others. Lord of the Rings, the Hobbit, Northern Lights – I’m going to just gloss over these. They are extraordinary, and if you haven’t read them, then you should. Not because you particularly need to (although there’s a lot of popular culture and intertextuality swirling around them that you’ll miss if you don’t), but just because they’re exciting. One of my son’s friends was chatting the other day about how he loved the many Peter Jackson Hobbit based films, but that he (PJ) simply hadn’t captured the essence of Rivendell. You see that’s what those books will do. Everyone has their own views about books they’ve read, but Fantasy fans are peculiarly particular. Northern Lights gets more of a mention because there are new bits of it emerging. I pre-ordered the hardback, made tea and toast and cancelled everything so I could read it (la Belle Sauvage). I really want to say it was everything I dreamed it would be, but I have to confess I was a tiny bit disappointed. It’s amazing to be back in Lyra’s world again, hanging out with the alethiometer is always good, and he does write effortlessly (or it reads effortlessly anyway). But… it’s just not as amazing as the first three. Actually first two, I always struggled slightly with The Amber Spyglass. There’s just not the jaw-dropping originality of the Daemons, or the Alethiometer, or even the subtle knife. But there is a fantastic river road trip, and the most terrifying bad daemon ever. So actually, definitely worth reading. On a slightly different note, I’ve just written an essay for my MA on Kipling. And as a by-product I came across two new (to me) books. 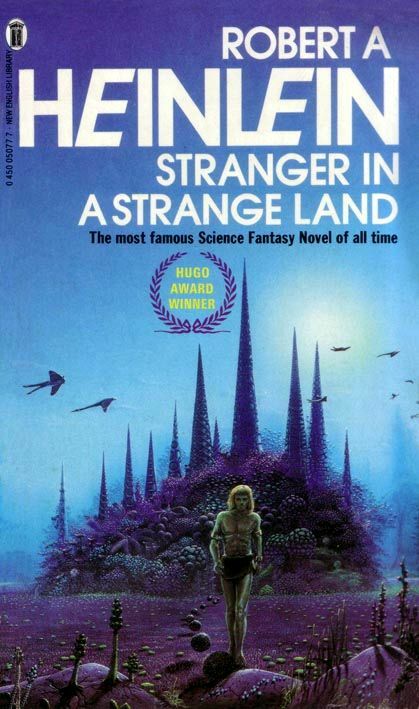 The Graveyard Book by the always reliable Neil Gaiman, and Stranger in a strange land by Robert Heinlein. Both of these books are paradigmatic re-tellings of the Jungle Book. Which means they are the same story, but with different characters in a different place. Well that’s what I was told anyway. Stranger in a strange land is, for want of a better word, strange. It’s set on earth way in the future and posits that there was a trip to Mars some twenty-five years before which left a boy there, he was brought up by martians, and here he is back on earth. With a lot of weird abilities and much media interest. I couldn’t be doing with this at all. I’m sure if you’re a sci-fi fan it’s great. And I can be, but not when it’s this plotless and inconsequential. There’s a lot of clever future imagining and some very original speculation about what other species might be like, but there’s also an awful lot of whipsmart clever dialogue and funny eccentric characters, and no plot. I feel like a broken record, but it just feels very dated. And quite self-conscious. I’ve talked about the sci-fi I like elsewhere; this one won’t be darkening my bedside table again. 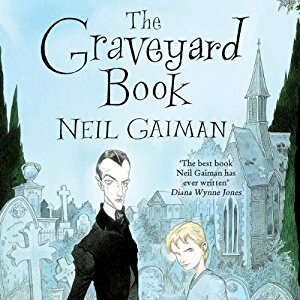 The Graveyard book is a whole different ballgame. This is great. 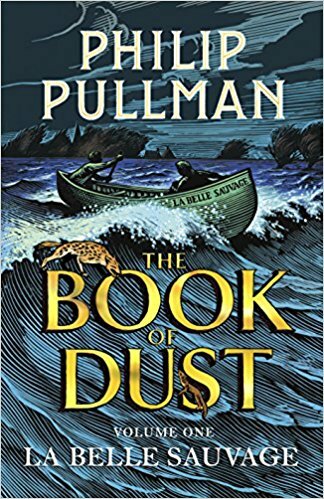 Neil Gaiman is always good (at least I’ve not read a bad one yet) and this is a delight. If you know The Jungle Book (books not films) then you’ll laugh at how cleverly he’s adapted the stories; if you don’t know it you’ll just really enjoy the story. A toddler is (unbeknownst to him) being chased by a killer and ends up in a graveyard where he meets loads of old dead people who adopt and look after him. Brilliant details – the Baloo/Bagheera characters are combined into a character called Silas who explains to the boy that he is half dead half alive only for the boy to say ‘I want to be like you’ – you can’t help but add the shoo dooby doo. So both fantasy, but very different. And if they are fantasy, then is The Jungle Book itself fantasy? There are talking animals, and it’s pretty fantastical, but I wouldn’t have put it in that section of the bookshelf. But back to Neil Gaiman for a second. Neverwhere, American Gods, Coraline, Sandman, all brilliant, but my favourite? The truth is a cave in the black mountains. Maybe just because it’s so random. The hero is a man who is so short he gets taken for a child. It’s set in Scotland, it’s a dark parable and it’s illustrated by someone who’s equally odd. Great book. 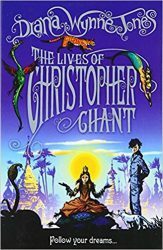 Let’s continue to ignore Harry Potter for a moment and do The worlds of Chrestomanci instead. Written by Diana Wynn Jones, there are seven of these about a parallel world of wizardry and mayhem. All predate HP, and all are very good and genuinely original and funny. I would never ever be an HP naysayer, but occasionally it’s worth remembering that other people wrote about witches and wands before JK did. Check out either The Lives of Christopher Chant, Witch Week or Charmed life. They aren’t as accessible as HP but is that a bad thing? I don’t think so. Once you’ve done HP, why not see where it all began? No question, without Diana Wynne Jones, no Dumbledore.